That said, it is another very easy craft to do, it requires mainly patience, waiting for paint to dry! All I needed for this craft was 2 cans, one the size of a ravioli can and the other was the empty can from pizza sauce the other day. As long as one is a little bit smaller than the main one. I also needed my paints, some ribbon and something to hang from the cans to “chime.” I found some little star shaped jewelry findings that I will use for this! 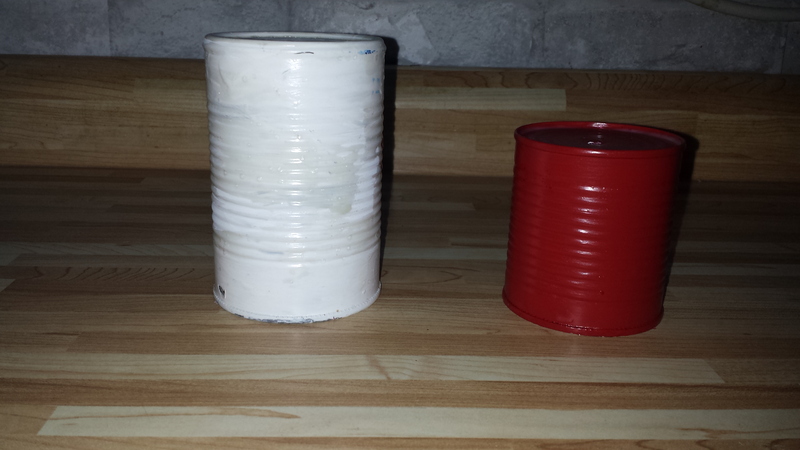 I started out by base painting the cans. One red, one white. 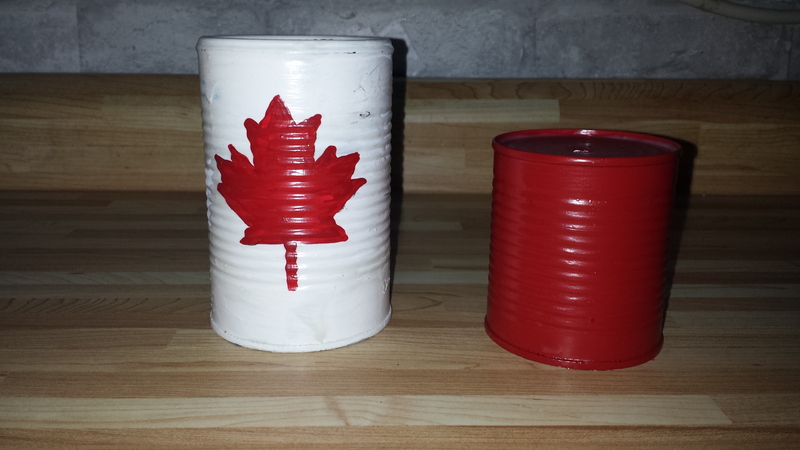 I painted a red maple leaf on the white can, the bigger can. I put a few coats of sealer on both cans because it will be outside hanging in the gardens somewhere, and punched holes in the bottom of each can. Now I threaded my ribbon through the hole of the small can, tying a knot to hold it and then fed the ribbon through the bigger can, again tying a knot to hold it in place. I glued some lengths of ribbon to the inside of the smaller can and then using jewelry string, tied the jewelry findings to the loop in the ribbon. 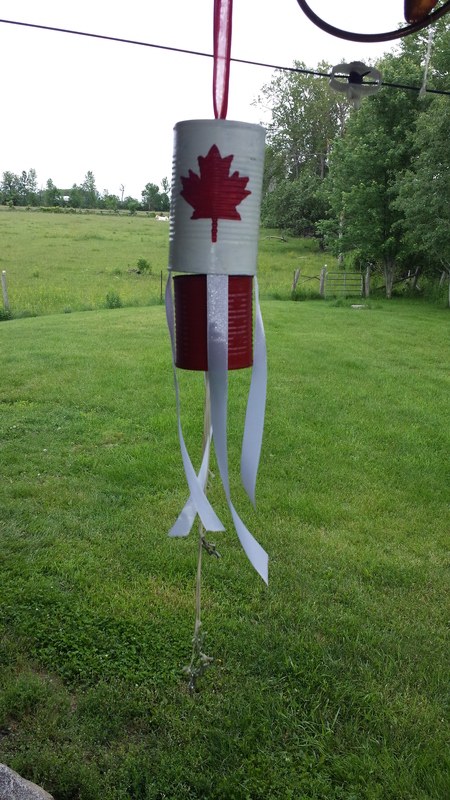 And here is my Canada Day Wind Chime! 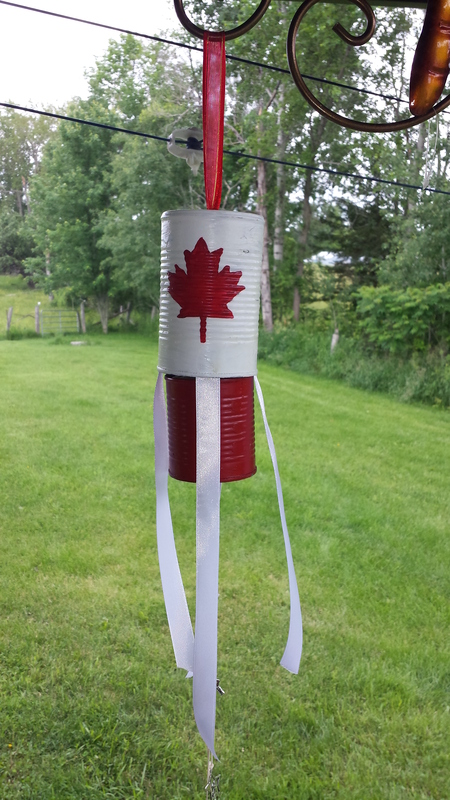 This entry was posted in Canada's 150th Birthday Crafts, Crafts, Gardening, Our Posts. Bookmark the permalink.